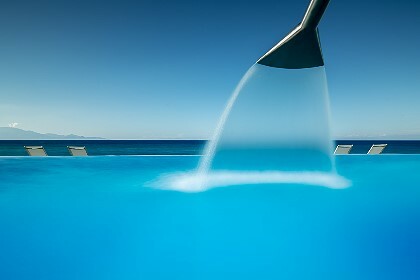 Located in the beautiful coastal resort of Aghios Nikolas on the North of the island of Zakynthos is the Orfos Villas. 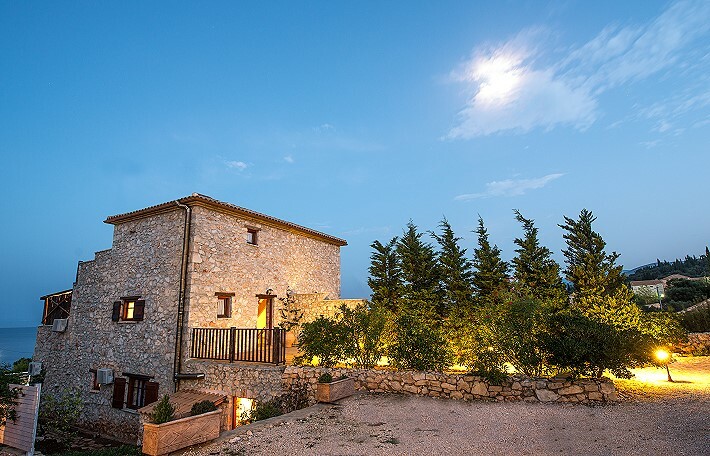 These luxurious traditional stone villas are situated away from noise and populated areas guaranteeing peace and relaxation with magnificent views over the clear blue Ionian Sea. The superb furnishings and interior decor display captivating charm and elegance throughout. A superb countryside location with stunning scenery, ideal for families and couples searching for the perfect relaxing holiday. 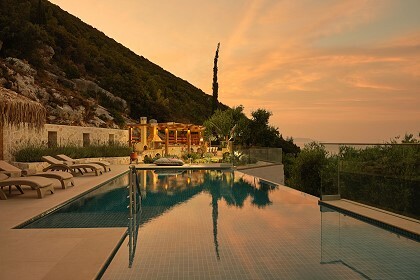 Five individual houses built with attention to detail with the comfort of our guests being the main priority. 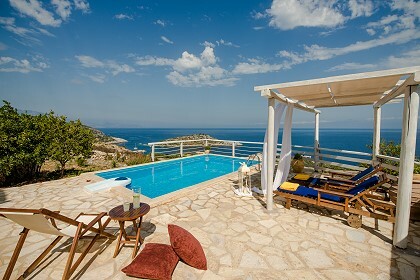 Each villa is suitable for 4-7 persons and is fully furnished and beautifully decorated throughout. All have modern features with private bathrooms, fully equipped kitchens with all utensils and cooking equipment, beautiful living areas, some with ornate open fireplaces, spacious furnished verandas and magnificent sea views. 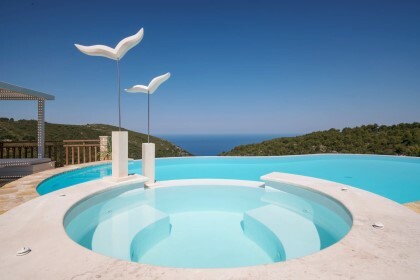 The private swimming pool is a unique place to relax and soak up the sun while admiring the view over the Ionian Sea. 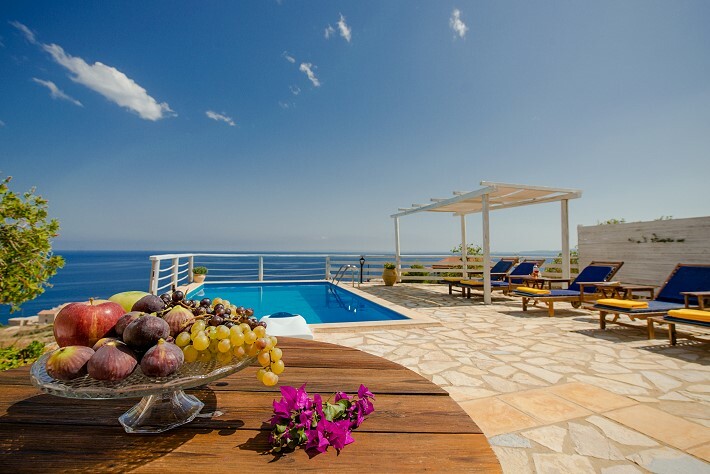 The facilities at Orfos Villas are superb and include private swimming pool with sun loungers, Jacuzzi bath tubs, fully equipped kitchens, satellite television, entertainment centre with DVD/CD player, air-conditioning, washing machine, dish washer, wireless internet, iron, hairdryer, outdoor BBQ area and much more. Agios Nikolas in Volimes is one of the most picturesque and idyllic areas of the island of Zakynthos. 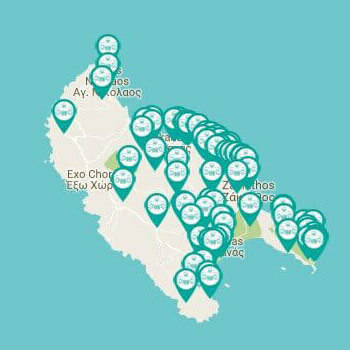 It is home to the second largest port on the North East coast of Zakynthos where you can take a daily ferry to the neighboring island of Kefalonia and very close to the famous blue caves and shipwreck cove. The nearby scenic village of Volimes is a traditional market place where the locals produce handmade rugs and lace, cheese, honey and wine. The stunning scenery of the surrounding countryside of both these areas make it an ideal place for walking or cycle rides.